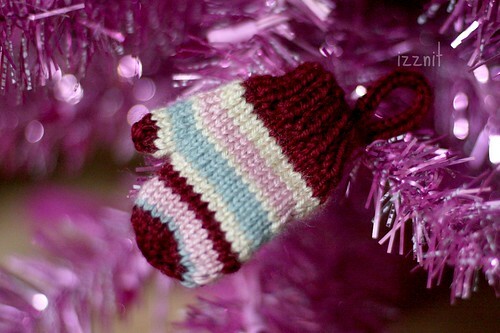 I saw this pattern on ravelry a few days ago and just had to make a few for my tree. They are so cute! And TINY! Yup, I need to LEARN. 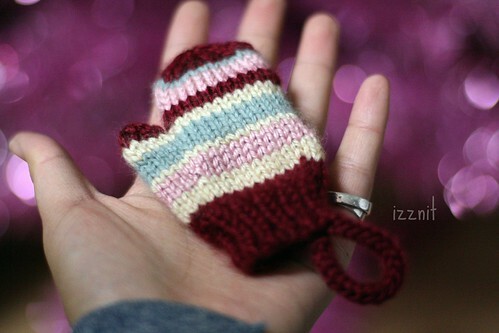 The fastest was to make something cute is to make it in miniature. 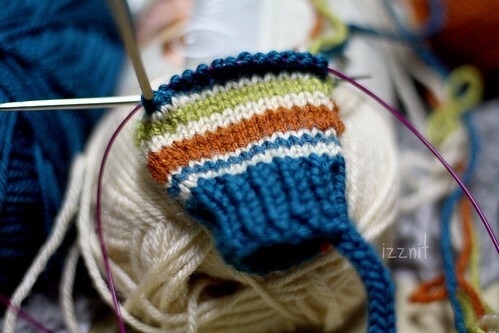 I love that you’ve added stripes to your mittens.